with our state of the art dehumidifiers. Hey Dallas / Fort Worth, we have fans and dehumidifiers for the high water or extra moisture in your office or home. Whether you have water damage to your bathroom or a flood in a 5,000 square foot office, we can rent the equipment necessary to help stop water damage. We are NOT a remediation company however we rent the same drying equipment at a fraction of the cost. 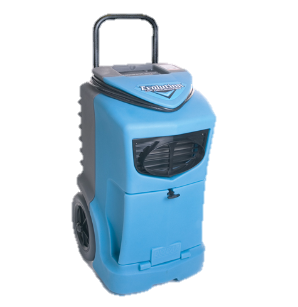 1st Cooling’s portable Low Grain Refrigerant (LGR) dehumidifiers can remove as much as 15 to 25 gallons of water/day from the area. You would be surprised how much moisture is under the carpet or floor after a hot water heater bursting. Call 1st Cooling at 817-491-0555 to rent a commercial dehumidifier for a few days or even months. We can save you lots of money by helping to figure out what type of drying equipment is required to remediate the area. We do not provide carpet cleaning services. We help you control the cost of water damage. 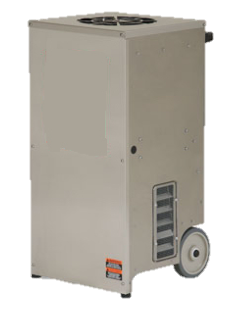 Take a look at our fan rentals and air scrubber rentals. 1st Cooling has the right equipment for the job!